Check out the Denim Expert Ltd.’s first images of the fall/winter 2020 season. This collection will be presented at the upcoming KINGPINS show in Amsterdam. 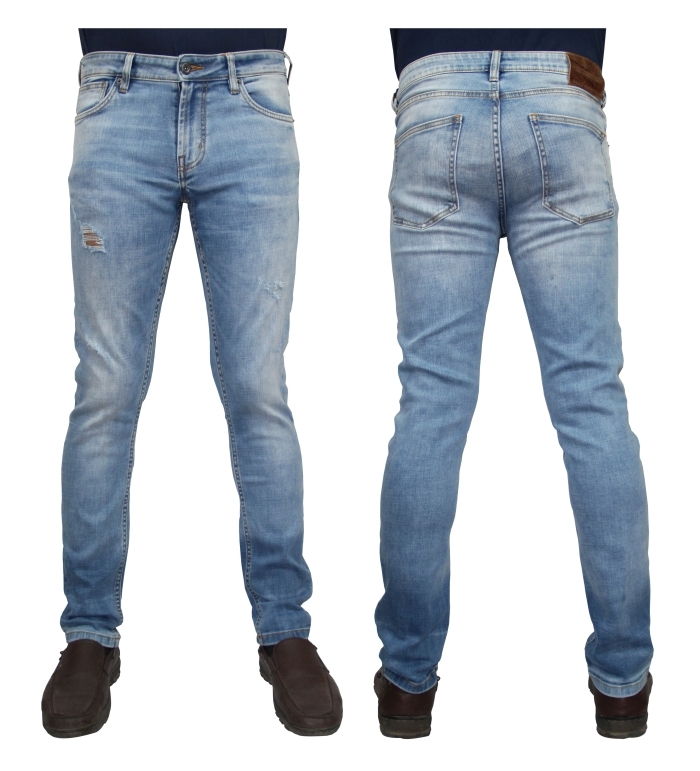 Slim fit, 11.25 OZ 5-pocket jean, 98% Cotton/ 2% Elastane. Indigo dyed ring-spun comfort stretch denim. Wash: Vintage used with color block treatments. Slim fit, 12.50 OZ 5-pocket jean. 98.5% Cotton/ 1.5% Elastane, indigo dyed ring-spun comfort stretch denim. Wash: Vintage used with color block and local destroy details. 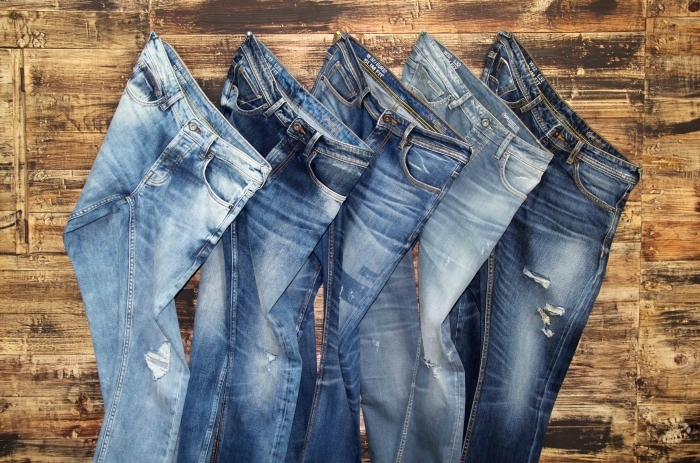 For this season’s developments, Denim Expert Ltd. have made a concerted effort to focus on the sustainable credentials of the product being presented, across all areas of development. Their product development includes extensive research for fabrics with the focus being sustainable attributes. The collection includes: Organic cotton, recycled fibers and yarns, polyester yarns (made from recycled PET bottles), less chemical dyes and therefore providing advantageous wash-down properties. Slim fit, 10.50 OZ 5-pocket jean. 99% Cotton/ 1% Elastane, indigo dyed, comfort stretch, nepp denim. Random wash with localized distressing. Combining a variety of fabric bases, which cover a number of slub patterns (from subtle ring slubs, to more overt cross-hatch effects) across a broad range of shades, we have developed a range of product that reflects the demand for heavier weight fabrics (11.00 – 13.50 OZ) for the fall/winter 2020 season. Slim fit, 11.00 OZ 5-pocket jean. 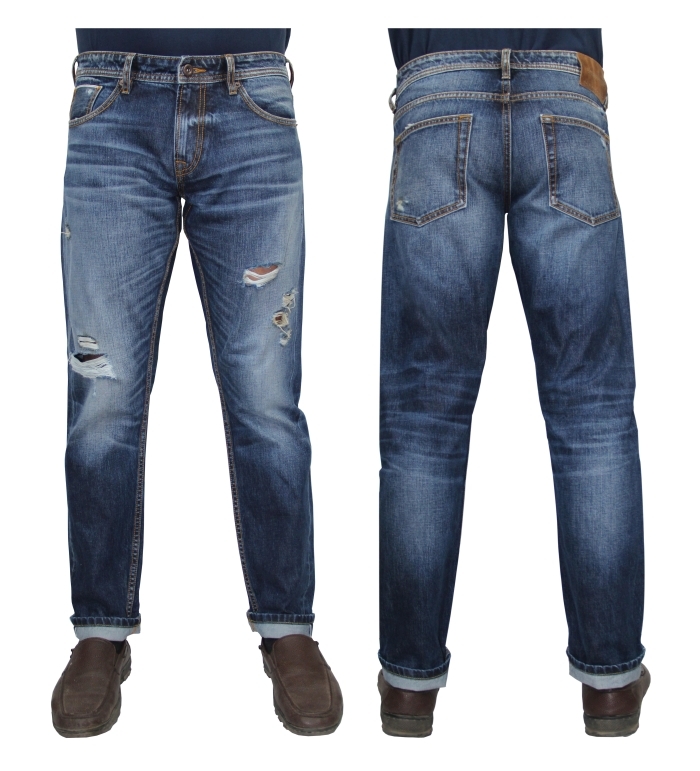 97.5% Cotton/ 2.5% Elastane, indigo dyed, bi-stretch comfort denim. Wash: Deep vintage used aged effect, with localized damage details. The range is offered in a variety of shades, including a new “STAY BLACK” concept that can withstand over 20 home laundries and offers high levels of color fixing. Besides the “STAY BLACK” line, there will be a palette of new shades, ranging from deepest indigo to medium blue, with a variety of different casts like authentic red and green. 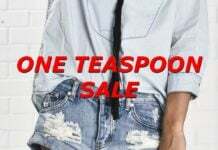 Also included is a new range of grey denims, perfect for the fall and winter seasons. Slim fit, 11.00 OZ 5-pocket jean. 98.5% Cotton/ 1.5% Elastane, “Bromo Grey” comfort stretch denim. 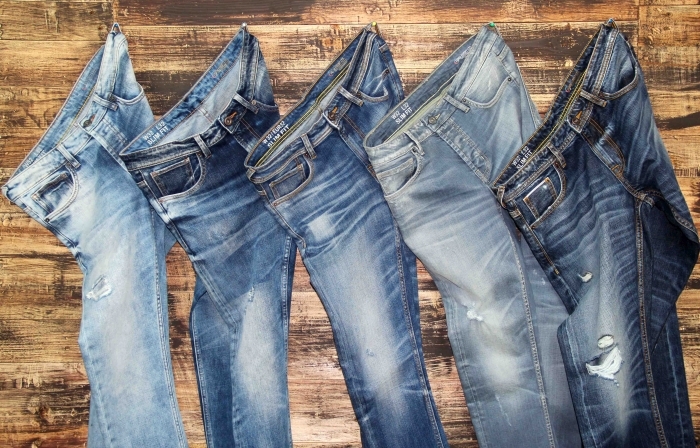 Wash: Vintage aged wash with localized distressing. The collection includes a variety of slim and tapered fits which have been designed to offer greater comfort through the thigh. All styles feature stitch details around the back and ticket pocket areas, with a variety of colored threads. Slim fit 11.00 OZ 5-pocket jean. 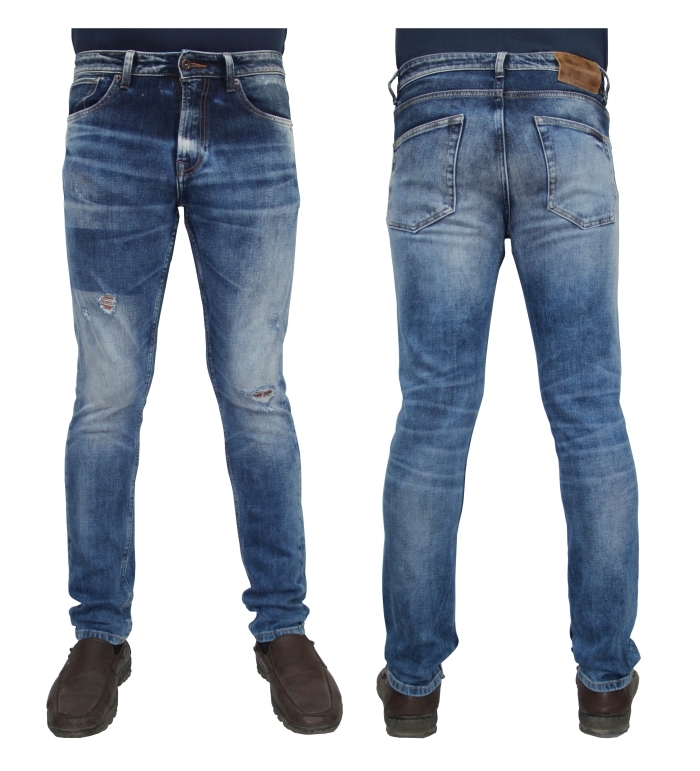 83% Cotton/ 15% Polyester/2% Elastane, indigo dyed, comfort stretch cross-hatch denim. Wash: Random used wash with localized distressing. Slim fit, 10.75 OZ 5-pocket jean. 93% Cotton/ 5% T-400/2% Elastane, indigo dyed, comfort stretch denim. Wash: Vintage used wash with localized distressing. 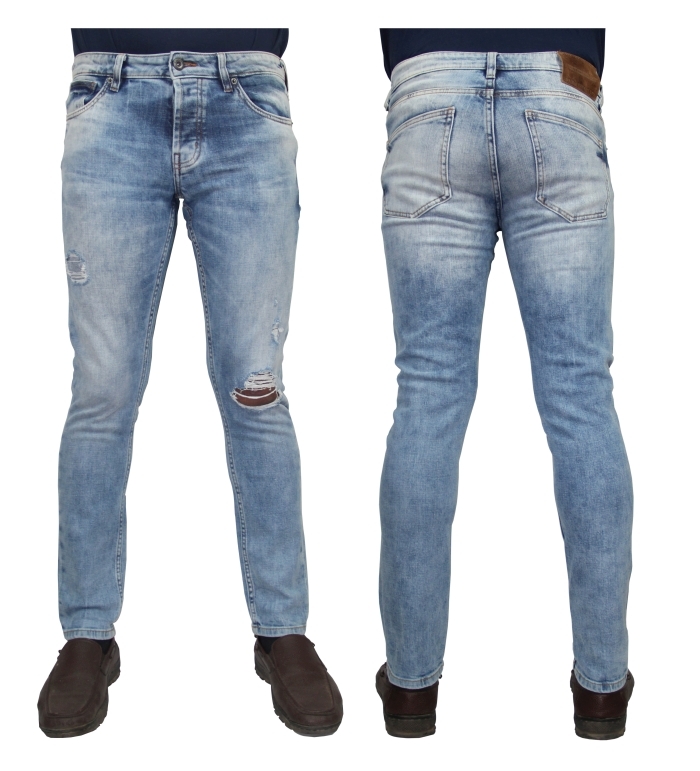 Whilst developing the product line, Denim Expert Ltd. paid particular attention to the finishing techniques. 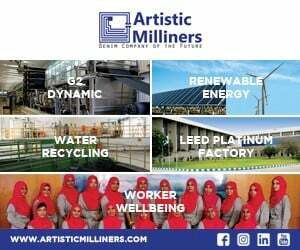 They have developed a range of interesting, natural finishes, utilizing the latest in finishing technology, paying particular attention to the environmental impact and sustainable credentials of the applications used. “We are very pleased with the results we have achieved, which offer: •A 20% reduction in the overall water usage in the wash cycle. •GreenScreen chemicals, which are all environmentally friendly certified. Slim fit, 13.50 OZ 5-pocket jean. 99% Cotton/ 1% Elastane, indigo dyed, comfort stretch, selvedge denim. Wash: Vintage used wash with localized distress detailing. 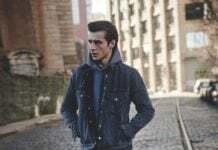 “We look forward to welcoming customers, business associates and friends to our booth at the KINGPINS show Amsterdam, 10th and 11th April 2019, where the full range of sustainable denim product, developed for fall/winter 2020, will be on display.